To be fair, outhouses weren’t the only subject of the photographs. Other images in the set show various kitchens and living spaces, with various levels of what I’m sure reformers back then would have termed squalor. I think it shows a lot about the family (or families) that lived in each space. My favorites are the ones showing the effort someone made to turn their set of rooms into a home. 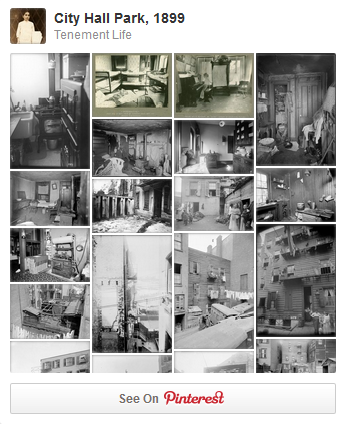 To see tenement life as documented by the Tenement Housing Department, browse through the NYPL’s Digital Collection or visit my board Tenement Life over on Pinterest.